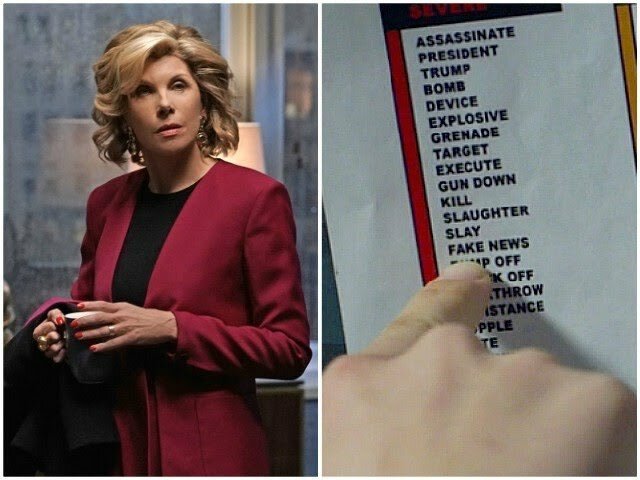 The CBS Show “The Good Fight” a spinoff series of “The Good Wife” is in big trouble after tweeting an image from one of its episodes. No response yet from The President on this horrific tweet by the TV series. However they still have this anti-Trump rhetoric on their Twitter feed. So we ask the question CBS? Is this a TV series or is this a propaganda website and show against the President of the United States? You can read more from our friends over at Fox News.